Customers tend to buy when they receive referrals from someone they trust. It is true that 49% of consumers consult social influencers before making a purchase decision. And nowadays Influencer Marketing is at the top of the world and people are leveraging this kind of marketing to expand their reach and target audience. In today’s internet era, many marketers out there have realized that advertising is not the best way to market their products. Ads are not cheap nowadays and there’s no guarantee to get ROI in any kinds of paid ads. We can see the rise of ads blocks everywhere and people are just avoiding ads. Now you might be thinking what’s another way to reach target audience easily without even spending money on ads. Yes, we have got a way- Influencer marketing. Influencer marketing is a way to promote products with the help of experts to influence targeted audience easily. Actually, it’s a new trend created by the growth of online marketing. Brands are taking advantage of this new kind of marketing to expand their reach and increase their chances of reaching their target audience. Like let’s take an example here, a food brand xyz can target influential bloggers in the food industry, hoping to publish or post a tweet about their products and promotions. But finding influencer seems to be a difficult task without using proper tools. The very first step towards your influencer campaign needs to be perfect. Finding the right influencer in social networks is the key to success, but knowing where to start can be a bit tricky. In the market, there are few impressive tools that will definitely help you in researching influencers in your niche. In order to help you with your Influencer Marketing journey, we have compiled the list of best Influencer Marketing Tools. Just keep one thing in mind that most of these tools are paid, but here the free features can be strong enough to cover the basics of influencer people’s research. Let’s get started with the list here..
Buzzsumo is one of the best and reliable tools with which you can find influencer people in different ways. Buzzsumo is really a freemium product. You can use it for free, but due to the limited results of the free account, you should consider going with the pro version. With Buzzsumo you can easily find out what is popular on social networks. And in that way, you can see the content that companies share most often. No doubt, it’s a good opportunity to discover what has been successful for your competitors. Apart from that, you can search niche. It also shows you what elements of social media content were shared most frequently on specific topics. Buzzsumo, however, can do more. You can also use it to see who has the most shared content on the web. It contains an area of ​​Influencer and the Outreach where you can examine, analyze and track influential people. You can do this in several ways to discover who is the main influencer factor of social networks in your niche. First, it helps you find the most popular content for specific topics. You can also use this feature personally to find the best content of your competitors or simply suggest topics for your own websites. And then you can easily connect with the person behind each popular post!). Second, BuzzSumo also contains an excellent search tool for Twitter. You can search the Twitter biography and shared content for relevant influential people. It also comes with many advanced filters that allow you to get the most accurate results easily. Awario is a powerful social network software that allows you to instantly get detect on social networks and the Internet. The best part about Awario is that it does not rely on a third-party data provider. It mainly tracks over 13 billion daily pages, including APIs, to find the latest news about your product/keyword. Awario is well known as a “social media and web monitoring tool”. However, part of this “monitoring” includes characteristics that can be applied directly to the research of influencer people for any niche. For example, if you are looking for people who mentioned your brand or related topics, you can quickly search them and reach to them easily. Basically, you can find the most influential people that publish about you and your niche. Then, you can turn to these influencers or monitor them to establish a relationship over time. In addition, you can even set up continuous monitoring for specific keywords and see an Influence report to see the most influential accounts for this topic over time. For more details, you can also filter by individual networks as well. This tool will not only help you in finding the influencer but it also keeps track of them over time. Supported Platforms: Facebook, Twitter, Blogs, YouTube, Instagram, Google + and Forums. Awario costs $ 29/Monthly (billed monthly). You can also earn 2 months free if you pay each year. Here, NinjaOutreach is another cloud-based influencer and blogger marketing outreach software that provides a full range of services. With NinjaOutreach, you can search for prospects in your database with more than 25 million websites. To limit the restriction, you can add tags for filter your search by bloggers, Influencers, Company, and Individual Items as well. Using NinjaOutreach you can easily potential clients and influential people in social networks in any niche or place. Simply enter your keywords to access millions of profiles and their email addresses in NinjaOutreach huge database. It also automates the connection and increase your traffic. You can also increase the traffic of your company right with a few clicks. Even using this tool you can automate email campaigns for creating links, guest publications, impact on marketing, digital public relations and content promotion as well. Even with this tool, you can easily manage all your marketing campaigns and influencer with integrated CRM. You can also add team members, organize your prospects right with filters and notes. Track conversation history, open emails, clicks, and replies too. BuzzStream is a reliable tool that help you in building relationships and creating buzz with influencers. With this tool, anyone can find influential people, manage relationships and conduct outreach in an effective way. You will be amazed to know more than thousands of the world’s best marketer use BuzzStream every day. No doubt, BuzzStream really makes Outreach a Snap. You can also research influencers easily and here BuzzStream collects contact information, social profiles and location statistics for you. The most important and influential contacts can be easily prioritized. With this tool, you can keep track of your conversations. BuzzStream automatically saves your emails and tweets and allows you to set reminders for tracking. You never lose track of a conversation or a project with this easy to use tool. Now find out what works for you and what doesn’t. BuzzStream generally provides detailed information on awareness campaigns, team performance and link locations in fully customizable reports. Just spend less time on spreadsheets and spend more time creating links. BuzzStream searches for prospects control the links and helps you with the work on the site easily. Now you can get more attention to your content right through the media obtained. With BuzzStream, you can create lists and pitch influential people to really distribute your content. The Pitchbox is basically an Influencer Outreach and Link Building tool for marketers. Anyone can use this tool, but this tool works perfectly for blogs, not for social networks. With the Pitchbox, you can search for potential influencers with a simple keyword search. Integrations with SEO services like the Moz, Majestic, and SEMRush will help you filter these influencers to find only those that have the most permits. Once you have contacts to which you want to connect, Pitchbox allows you to send personalized emails and automated follow-ups that, in your opinion, will raise the response rate by an average of more than 62%. With Pitchbox, personalized attention and monitoring is also available. Now you can save hundreds of hours each month while keeping complete control over your emails and follow-ups. Tweetdeck is the free social media dashboard tool for Twitter that lets you manage all your tweets easily and effectively. You can just choose to display all your timeline elements, mentions, direct messages, lists, trends, favorites, search results or hashtags. Using this tool you can easily control up to 200 Twitter accounts right through the Tweetdeck dashboard. Tweetdeck has very powerful search capabilities as here with Tweetdeck you can follow the mentions of your competitors. You can even use it to find the use of a specific hashtag to help you find influencer people for any niche. You can also search for the number of retweets like people whose tweets are retweeted several times probably have some influence. Tweetdeck can notify you right when one of your subscribers adds a new person to your list. You can even observe these people closely to see if they deserve to be seen as potential influencers in any niche. The best part about this tool is that, you can use Tweetdeck to see how many lists certain people are on. And really this could be a useful signal of how other influential people believe them. Basically, Followerwonk is a reliable tool for Twitter Analytics, Bio, Search and more. With this tool, you can search for twitter bios to connect with anyone. You can also compare Twitter accounts in order to find the overlap and targeted new influencers in any niche. Followerwonk helps you to find Twitter influencers in your niche. Other networks are not possible, but if Twitter Influencers is right for you, Followerwonk can help you find them for free without paying any bucks. The tool allows you to search the Twitter BIOS by keyword and compare those accounts with other Twitter users and/or download reports. Here this tool, Followerwonk analysis tool can also help you to create different segments of Twitter users as well. It also includes additional Twitter analysis features that allow you to control your own account. While these characteristics are not part of the research of influential people, they can be useful for managing your Twitter account easily. It’s just a good and solid introduction tool that will not cost you a dime for basic research for influencer people in your niche. The only down part of this tool is that it only supports a single platform Twitter. Hunter.io finds the email addresses for you. With the free package, you can perform 100 searches per month and that’s amazing. You just need to enter a domain name in your search engine and Hunter.io will do everything possible to find the email addresses associated with that domain easily. Hunter.io can be especially useful for finding the email addresses of people who might be useful for your organization. For example, as part of your influencer campaign, you can just request a guest blog in an influential blog in your niche for this purpose this tool can really help you. If you think you have a valid email address for follow-up but do not know it, you can enter the address in Hunter.io, which determines the validity of that address. You can just enter the company’s website right with the name of the person in Hunter.io and also a suggested email address will be displayed. You can also use Hunter.io as a compliment. If you access a specific website, you can click on the Hunter.io icon in your browser. This will find all the valid email addresses attached to this domain easily without putting any efforts. GroupHigh is one of the best and reliable content marketing tool that helps you quickly find a blogger’s contact information. With this tool, you can search blog posts search and create specific mailing lists easily. GroupHigh is another premium service that allows you to find an influencer in your niche. GroupHigh can also help you find influencers on Twitter, Instagram, and YouTube as well. They have a big database that contains more than 15 million blogs, while social media databases are a bit smaller (1.25 million for Twitter, ~ 200,000 for Instagram and YouTube) and that’s quite impressive. If you want to find influencer people in your niche just search for full blogs or specific content easily. Then, you can just add these influencers to a list (or import your own URL list) easily. But here GroupHigh does not provide an automated search such as NinjaOutreach, it does include an influencer CRM that generally allows you to manage the people with whom you are connected. This includes monitoring the content and commitment to verify the effectiveness of your evidence. Dovetale is a reliable Social Media Analytics tool out there in the market. It a powerful social media software for brand and agencies. Basically, this tool provides teams right with an affordable suite of tools in order to organize and simply manage all of their social media marketing strategies easily. With the help of this tool you can also monitor your competitors. Now you can also track the growth and audience breakdown right for your biggest competitors right on social media. Easily monitor the growth of your accounts and commitments and identify detailed audience data. Just monitor the competition by comparing social data right at a glance. Simply look at the social growth and compare it with your competitors. It’s a quite handy and easy to use tool that anyone can use to manage all your social media strategy. The only downpart of this tool is the pricing plans, as here the pricing is very expensive compared to other tools in the market. As of now, you have got the list of best influencer marketing tools that you can use to find and analyze influencers. Now you can easily find untapped influencers, just amplify your brand message and easily supercharge your campaigns easily. Influencer marketing can do wonders for your brand. So, what are you waiting for just leverage the power of Influencer Marketing and grow your brand exponentially. We highly recommend BuzzSumo and NinjaOutreach as these two are the best influencer marketing tools available in the market at a reasonable pricing. We hope this post suits your purpose well. Feel free to tell us which tool you liked the most, just drop a comment below. Give us a moment to share this post on social media channels like Facebook, Twitter and LinkedIn. Best Social Media Analytics Tools in 2018. 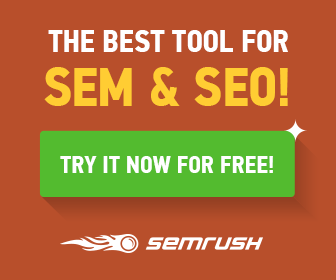 SEMrush Free Trial Offer: How to Beat your Competitor in Google Search Through SEMrush?